Bee is suffering from a cold today, so we stayed home from our regular Friday activities this afternoon. I used the unexpected free time to do some clean-up in the garden. 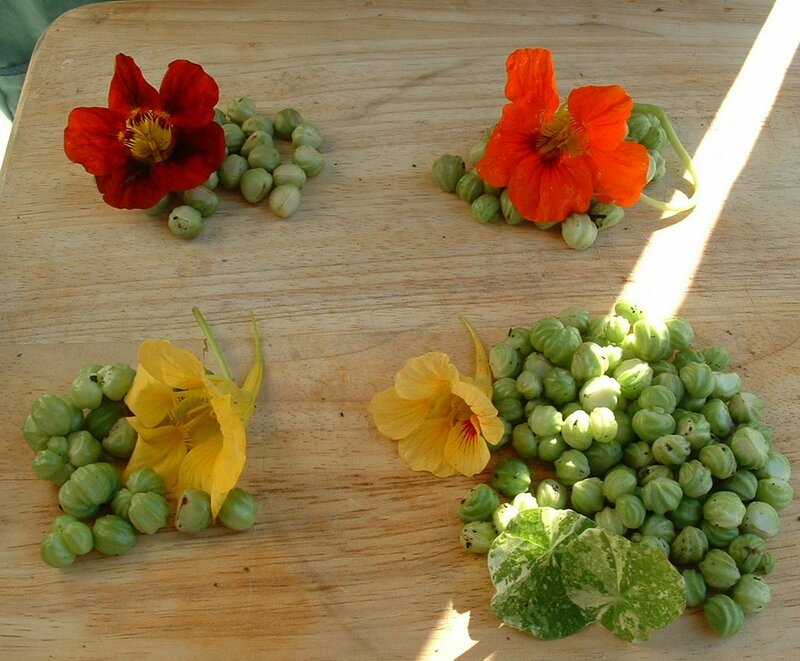 I collected seeds from the various nasturtium plants (I love nasturtiums and have them planted everywhere! 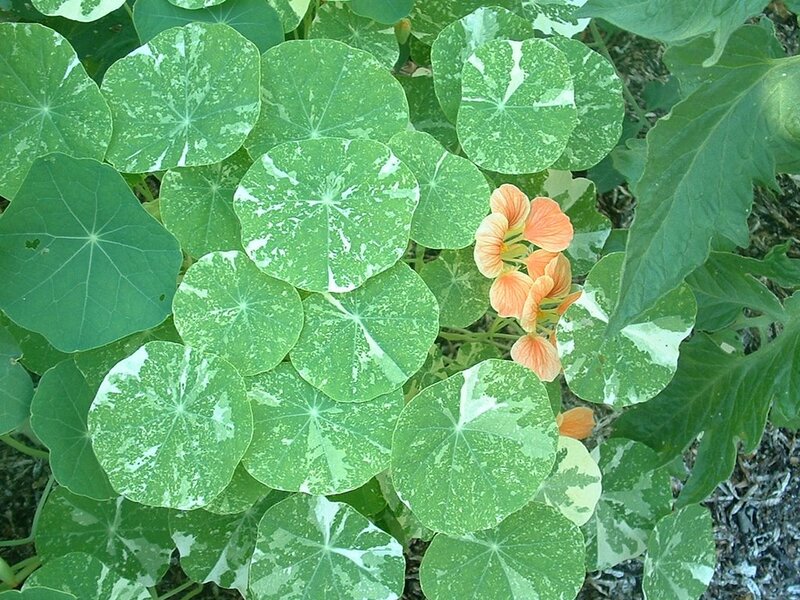 ), putting them in separate containers with one of the corresponding flowers (or leaves in the case of the variegated ones) so I can identify them when it comes time to label them. 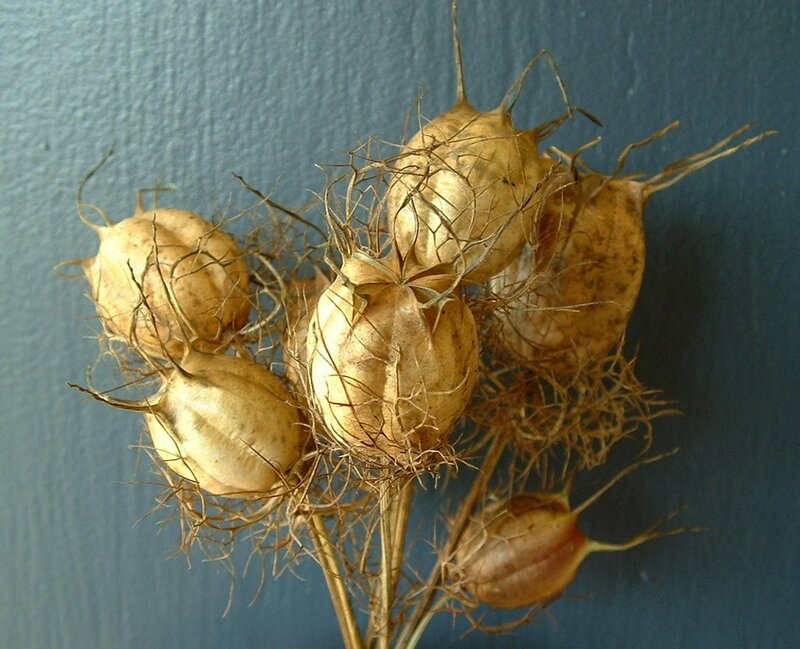 I also harvested some of the Nigella pods and shook the seeds into a bag for drying. 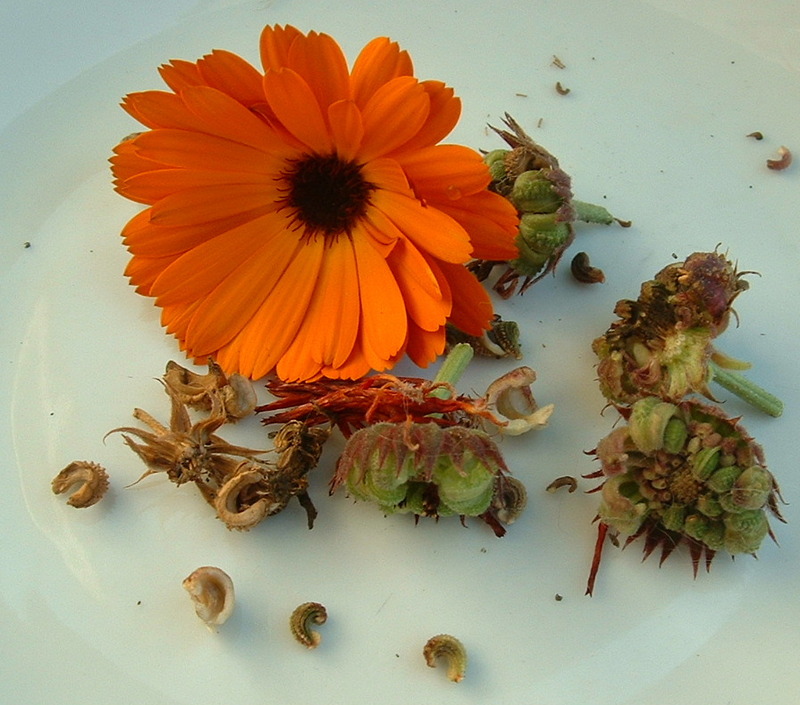 These curly Calendula seeds will ensure that I have enough flowers for next year’s batch of salve. 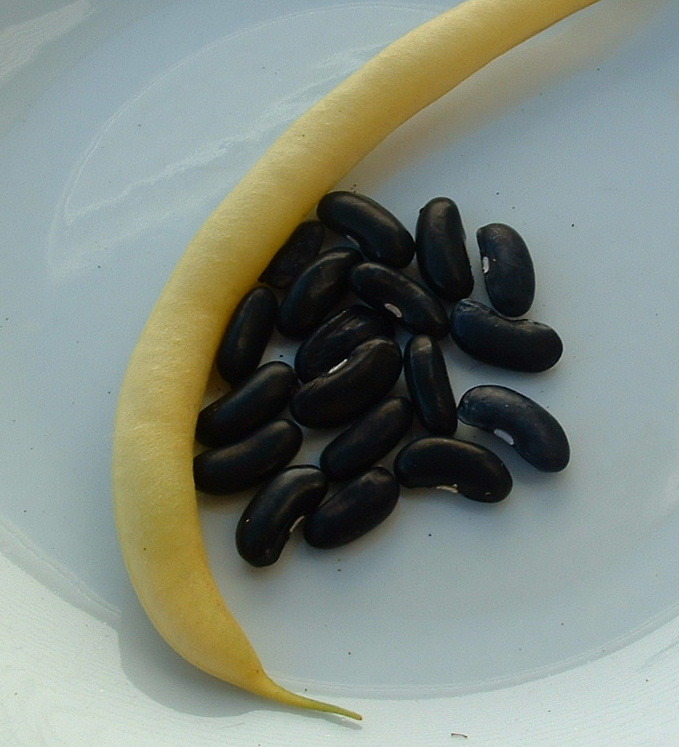 I haven’t got a lot of Beurre de Rocquencourt beans yet, but there are quite a few more out there drying on the plants. 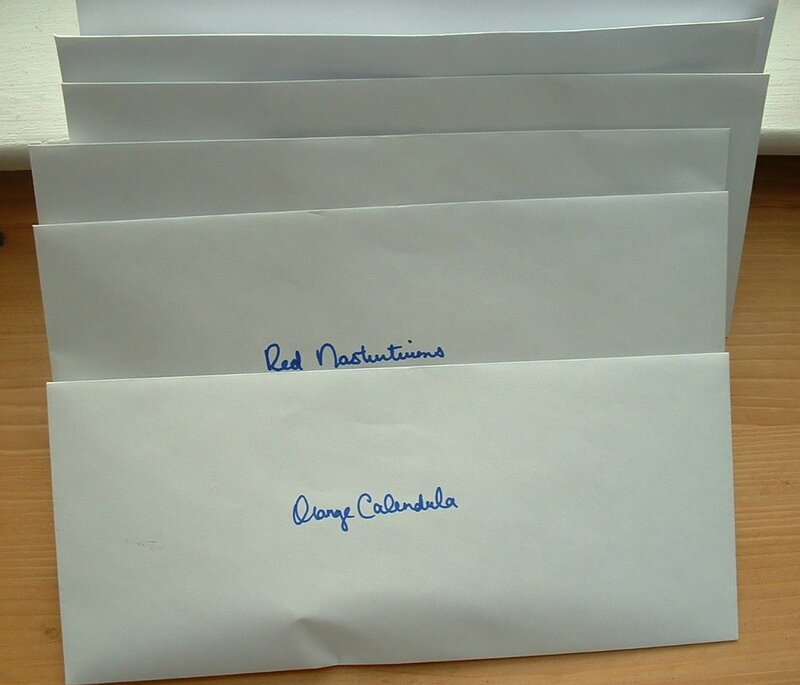 Once I had the seeds all picked and sorted, I popped them into envelopes and labeled them. I often use brown paper lunch bags for this purpose, but we’ve run out (the kids like to use them for crafts). I’ll leave the envelopes somewhere warm and dry until the seeds have dried, and then I’ll seal the envelopes and put them in a jar or freezer bag to keep them dry. A neglected garlic plant flowered and went to seed last year, creating a small patch of garlic “chives”. I saw this as a great opportunity to experiment with growing garlic from seed, and separated the baby garlic greens into rows, not really expecting a lot. But as you can see in the above photo, garlic grows just fine from seed! The plants got a little overwhelmed by the neighboring squash plants and I kind of forgot about them until now, but the last time I checked them (in July) they had formed nice fat heads. 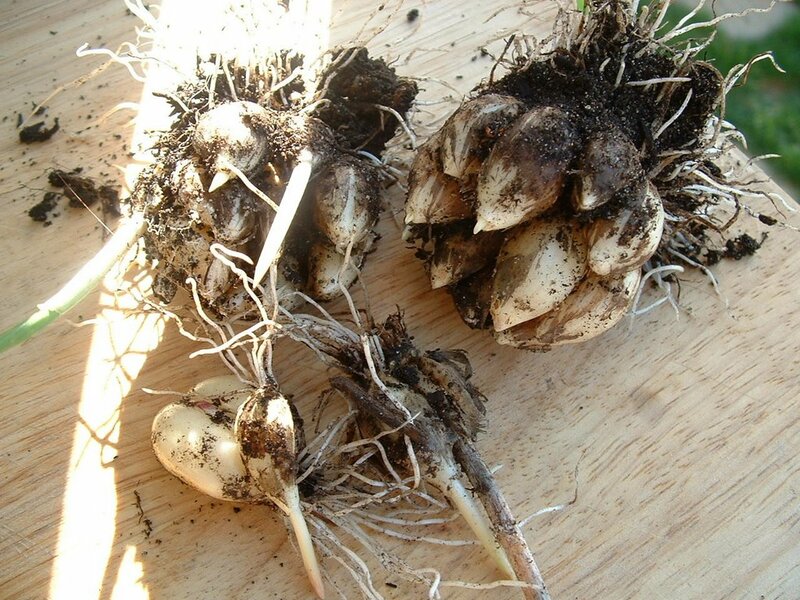 I should have been more on the ball and harvested them earlier to dry, because at this point the cloves have swelled and started to sprout, but I’m just going to separate and plant them for next year. 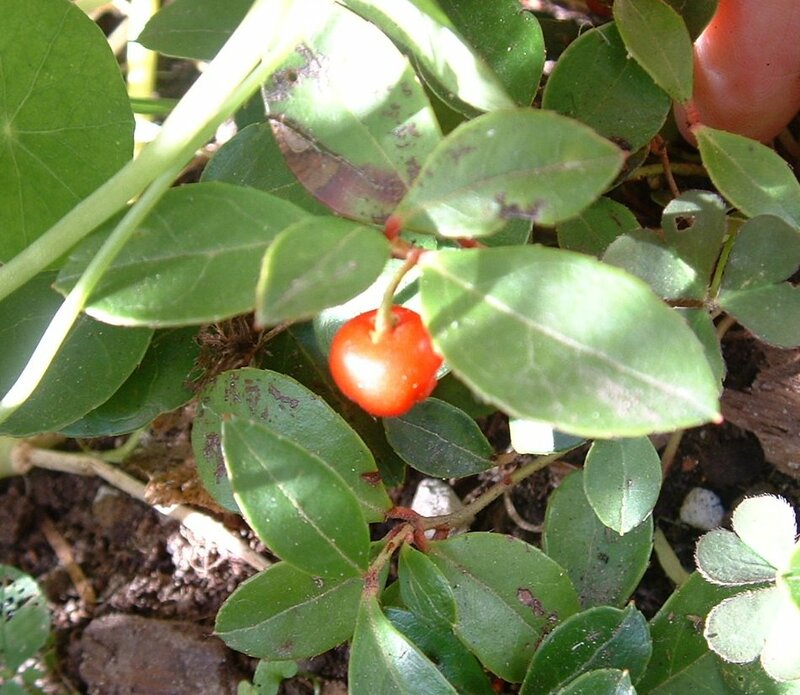 I discovered a single Wintergreen berry in my travels today. The berries and the leaves have an unusual minty flavour, very similar to Bazooka Joe bubble gum, and I can’t wait until we get a bigger crop.I found a lone Delicata squash that had been forgotten among the squash plants, and I harvested another bowl full of Romas and and a tray full of Juliet tomatoes to dry. The garden is obviously loving the incredible sunny weather that we’ve been having lately! Your seed saving looks so organized. I was out collecting but just threw all my seeds together in a cup. Not quite sure how that will work out when I go to plant. I guess you’ll end up with a nice surprise in the spring!